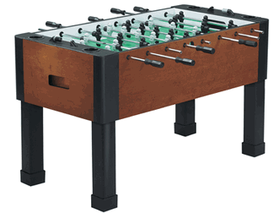 The Brunswick Kicker is the lowest-end table made by the Brunswick company. 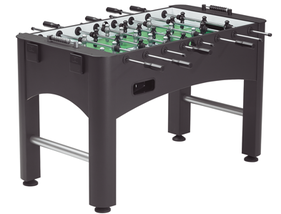 This table is made with some of the convenience features like adjustable leg levelers and cup holders, but lacks high-end parts that can be found on tournament foosball tables. We recommend reading our foosball table reviews to compare this table against other tables and brands. 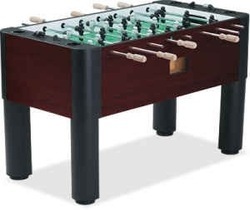 This foosball table is priced at $540 US.